President Truong Tan Sang has called for the continued support of the Asian Development Bank to ensure the country's sustainable economic growth. The leader made the request at a meeting with ADB President Takehiko Nakao in Ha Noi yesterday. 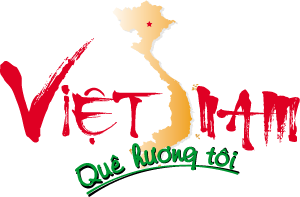 Sang said Viet Nam was trying to stabilise its macro-economy, achieve sustainable growth, and steer clear of the middle-income trap. President Truong Tan Sang receives the President of the Asian Development Bank Takehiko Nakao in Ha Noi yesterday. To do so, it needed more help from the bank in the fields of capital provision, policy consultation, human-resources training and agricultural development. The leader said that to increase international integration, Viet Nam had amended laws, improved infrastructure, and enhanced the business climate to attract more foreign investment. Nakao spoke highly of Viet Nam's measures to curb inflation, reform State-owned enterprises, revive growth, and stabilise the macro-economy. 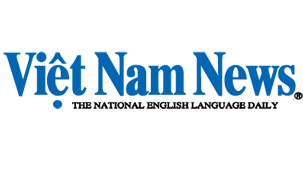 In recent years, he said the bank had helped the nation improve traffic systems, manage water and energy resources, and implement the Greater Mekong Sub-region initiative to connect the country with its neighbours. Nakao asked Viet Nam to accelerate policy improvements, work harder to attract foreign direct investment, facilitate business operations, and move the disbursement of ADB capital sources. The Asian Development Bank (ADB) is expected to provide Viet Nam with funding packages worth US$1.37 billion by the end of the year and another $1.24 billion next year to support sustainable growth. The financial assistance will help the nation realise its growth target of 6.2 per cent in 2015 and 6.5 per cent in the 2016-2020 period, Prime Minister Nguyen Tan Dung told ADB President Takehiko Nakao during a reception yesterday. The PM said Viet Nam would use the ADB funds effectively for socio-economic development. He told Nakao that Viet Nam was facing major challenges in ensuring sustainable economic growth in the long-term. He said the country would increase its reimbursement rate for ADB-funded projects and improve legal reforms to ensure macro-economic stability. Nakao suggested Viet Nam continue to reform State-run businesses and provide financial support for private firms in a bid to attract more foreign direct investment. He said the bank was willing to support Viet Nam in this field. Yesterday, the ADB leader also met State Bank Governor Nguyen Van Binh, who asked him to provide further financial support for Viet Nam if it achieved its development targets. Nakao hailed the co-ordination between the two sides to accelerate the implementation of ADB-funded projects. He said he valued the efforts of the State Bank to manage monetary policy and deal with bad debts. He said this had helped curb inflation, stabilised the economy, and made it easier for foreign business operations. Between 1993 and 2013, the ADB provided Viet Nam with $12.5 billion. The bank will offer $3.67 billion to the country in 2015-2017.